Who is the winner of the Sir Peter Hall Director Award 2018? The Royal Theatrical Support Trust has announced the production of the winner of the Sir Peter Hall Director Award 2018: Nancy Medina will embark on her directorial debut at the Royal & Derngate with Two Trains Running by August Wilson. Championing national touring theatre and emerging talents, the RTST promotes diversity, creativity, and commitment. 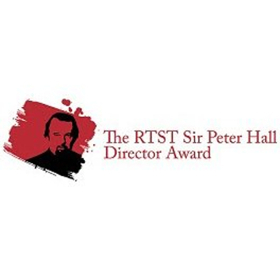 The Director Award - which was renamed last year in memory of the late Sir Peter Hall - offers a unique opportunity for directors to work on a fully-fledged production of their own choice, as part of a main season of a British regional theatre. Medina’s work will premiere in “Made in Northampton” programme next year. In the words of the winner, the prize represents a big step in the development of a career in this field, not only because of the confidence it gives, but also for the support from the panel in her potentials. Medina feels this recognition even more encouraging and “extremely valuable” as an example of practicing equity rather than just promoting equality. At the award presentation on Sunday 18th November, the winner indeed briefly shared how in theatre, as in many other areas of work and community, prejudices and obstacles come often in the way, barring dreams and participation of certain classes more than others. It was also remembered at the afternoon event how touring is one of the most important things to be done in this time: it connects people, it brings the country together. The selection process for the RTST award implies a first phase where the candidates are required to propose a play and describe how they would approach it: from concept, to design, and demonstrate how the production would be relevant to our times and to the potential audiences. In the second stage, the applicants rehearse a scene with a group of actors. Medina has proved great sensitivity and details in both, as well as political and social commitment to the work she makes. Among the trustees and Council members, the RTST praises great names in the arts world: Dame Judi Dench, Sir Ben Kingsley, Sir Ian McKellen, and Sir Mark Rylance, just to name a few. Sir Trevor Nunn, who attended the prize presentation, told to the small gathering how much a similar award meant for this career. Starting off at the Belgrade Theatre Coventry, the solo production he was assigned set him on the path he has then pursued all his life.